Andie Springer is primarily a violinist specializing in new and experimental music. As a soloist and through her ensembles Redshift, TRANSIT and Hotel Elefant, Andie has commissioned and premiered numerous works by young and established composers alike. The 2015-16 season will see the release of an audio-visual album of commissioned pieces for solo violin and electronics, and an album of music for violin and steel-string resonator guitar with duo partner James Moore. Andie is also active in the theater through her work with New York City Players and Object Collection, whose pieces resulted in performances on mandolin, accordion, electric bass, percussion and voice. A native of Alaska, Andie is a cofounder of Wild Shore New Music — a presenting organization dedicated to bringing adventurous new chamber music to the communities in and around Kachemak Bay, Alaska — and the New Music Coordinator of the Fairbanks Summer Arts Festival. Andie earned her BFA at Carnegie Mellon University with Professor Andres Cardenes, and her MFA at New York University with Professor Arturo Delmoni. She has performed with the Pittsburgh Symphony Orchestra, the Strings Festival Orchestra in Steamboat Springs, the Orchestra for a New Century and the Fairbanks Symphony Orchestra. She enjoys teaching and is currently on the faculty the Larchmont Music Academy. Clarinetist and bass clarinetist Sara Budde performs frequently as a recitalist and chamber musician. Esteemed for her exhilarating performances and dynamic performance style, Sara has appeared as a soloist, recitalist, chamber musician, and orchestral player across the U.S. and Europe. 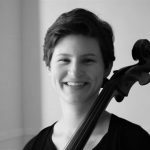 Premiering many works for solo and chamber ensembles including Missy Mazzoli, Kyle Gann, Tristan Perich, and Nico Muhly, Sara focuses primarily on recent and contemporary music, emphasizing newly emerging composers. Sara has made professional appearances with such diverse and dynamic groups as Bang on a Can, So Percussion, The American Composers Orchestra, Sequitur, The National, The Woodstock Chamber Orchestra and The American Symphony Orchestra. She has performed at the Bang On A Can Marathon, Look and Listen, MusicNow, MATA festival, Ecstatic Music Festival, New Sounds Live and the Carlsbad Music Festivals among others. Studying with David Shifrin, she received her Master of Music degree in clarinet performance from Yale University. Sara is also a founding member of NOW Ensemble. As a champion of new and experimental music, David Friend is taking piano performance in new directions. 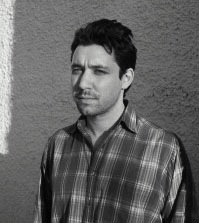 As a founding member of the TRANSIT collective, he collaborates closely with emerging composers from around the world. At the same time, he has worked with many of the preeminent composers of our time including Steve Reich; Julia Wolfe, David Lang, and Michael Gordon; and Charles Wuorinen. He has performed at many of the world’s top venues including Carnegie Hall, Lincoln Center, Royal Festival Hall (London), the Chan Centre (Vancouver), the Belem Cultural Center (Lisbon), and the Reina Sofia Museum (Madrid), but also enjoys special projects at alternative venues including art galleries in NYC, Issue Project Room (NYC), Experimental Media and Performing Arts Center (EMPAC), the Winter Garden of the World Financial Center, Le Poisson Rouge (NYC), and the grounds of the Aspen Art Museum. As a chamber musician, David has performed with members of the American Brass Quartet, Talujon Percussion, and the Trio Midiaeval; with members of the Metropolitan Opera, Toronto Symphony, Los Angeles Philharmonic, and American Composers orchestras; and with faculty-members of the Juilliard, Eastman, Oberlin, Cincinnati, Manhattan School of Music, Cleveland, and Glenn Gould conservatories. 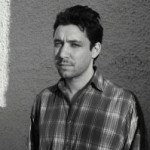 He has appeared with established and emerging new music groups including the Bang on a Can All-Stars, Ensemble Signal, Ensemble Pamplemousse, Either/Or, Le Train Bleu, Mantra Percussion, Hotel Elefant, and Red Light New Music, and he was the pianist of the Aspen Contemporary Ensemble for three years. David also enjoys projects that go beyond the common stylistic or performance practices of classical music including cross-disciplinary projects with Dance Imprints, live sound installations at the Aspen Art Museum and for Make Music New York, the Corps Exquis project in NYC, creating a large scale multimedia piece for Webster Hall, and working with musicians from different traditions such as Bill Frisell (guitar innovator), Don Byron (clarinet rebel), and Ryuichi Sakamoto (Japanese pop icon). He is also a founding member of Grand Band, NYC’s new music piano sextet, a unique ensemble that has been described as a ‘super-group of soloists’ (The Glass) that include the ‘finest, busiest pianists active in New York’s contemporary-classical scene’ (New York Times). David’s performances have been featured on ‘Hammered’ on Q2, on WQXR, WNYC, and on NPR’s ‘Performance Today.’ He recently recorded two albums for New Amsterdam Records: The Julius Eastman Memory Depot (with Jace Clayton, Emily Manzo, and Arooj Aftab) and Corps Exquis (with TRANSIT New Music). David was raised in coastal Louisiana, a region renowned for its rich cultural and natural beauty. He moved to NYC to study with Phillip Kawin at the Manhattan School of Music, where he attained both Bachelors and Masters degrees and also got involved in the underground art world, the experimental performance scene, and social activism. Evelyn Wadkins is an active performer and ardent supporter of new music. 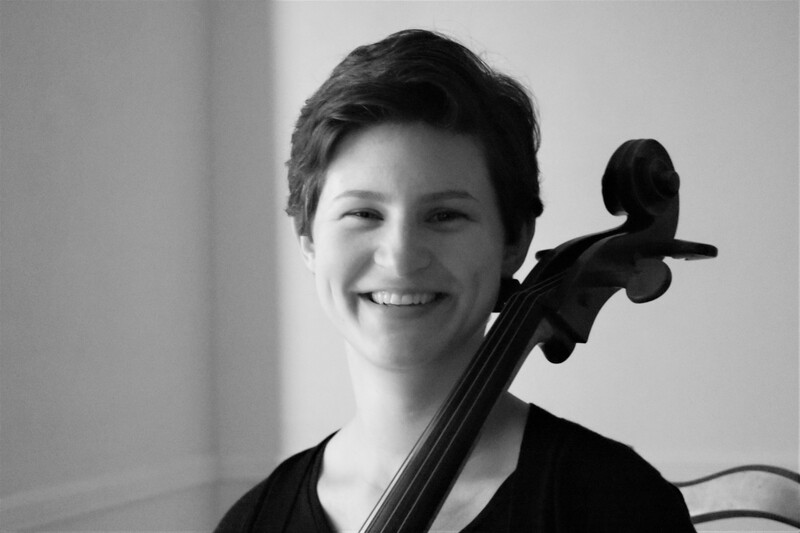 As a young cellist, Evelyn had multiple opportunities to work with and perform music of living composers, including a concerto written for her by Marti Epstein in 1994. Solo appearances include SUNY Fredonia’s Ethos New Music Festival and Composers Now at El Museo del Barrio. Orchestral festivals include Lucerne Academy Festival with Pierre Boulez, Bang on a Can Marathon, Pacific Music Festival with Riccardo Muti, and June in Buffalo. Evelyn performed with TRANSIT in the Wild Shore Festival for New Music in Homer, AK and in Copenhagen, Denmark for the 2013 Night of Culture. Evelyn’s playing can be heard on the soundtrack of the feature length documentary Memories of a Penitent Heart, which premiered at the 2016 Tribeca Film Festival. A co-founder of TRANSIT, Evelyn regularly premieres pieces by emerging composers. In addition to her dedication to new music, Evelyn’s eclectic freelance work has included performances at venues across New York City including Le Poisson Rouge, Issue Project Room, Galapagos Art Space, Zankel Hall, Bargemusic, Radio City Music Hall, and for Broadway shows. Evelyn holds degrees from the Cleveland Institute of Music and SUNY Purchase. In addition to her private studio, Evelyn teaches at the Hudson River School of Music and Concordia Conservatory. Joe Bergen is a percussionist and educator active in the New York metro area. As a co-founder of Mantra Percussion and TRANSIT, Joe has toured North America performing some of the most interesting and compelling music of our time. Joe also frequently performs with Newband playing works by Harry Partch on his original instruments, as well as the chamber-rock group Cellar and Point. Recently, Joe recorded percussion for the RockStar video game, Red Dead Redemption, which won best soundtrack as well as video game of the year. He can be heard on New Amsterdam, New World Records, Innova, Atma Classique, Lockstep, and Shsk’h record labels. A native of Ramsey NJ, Joe studied with John Ferrari and Tom Kolor at William Paterson University with additional studies from Gordon Gottlieb. He currently teaches for New Jersey Performing Arts Center as a dance accompanist and general music teacher as well as Montville Township High School overseeing the percussion program. Daniel’s work has been commissioned and/or performed by cutting-edge ensembles and performers such as Eighth Blackbird, So Percussion, Present Music, Bang on a Can All-Stars Lisa Moore, Ashley Bathgate and Vicky Chow, Talujon, Da Capo, California E.A.R Unit, Dither, Mantra Percussion, Iktus percussion and Calder Quartet, as well as the more classically-oriented American Symphony Orchestra, Albany Symphony, Ossia Symphony Orchestra, Yale Philharmonia, New York Youth Symphony, and St. Luke’s Chamber Ensemble. His works have been heard at Carnegie Hall, Webster Hall, the MATA Festival, the Bang on a Can Marathon, the Ecstatic Music Festival, NordKlang (Switzerland), MASS MoCA, Dia Beacon, River to River, Gaudeamus (Amsterdam), and over media outlets such as NPR, PBS, WQXR, CANAL +, TFI and FRANCE 2. Daniel’s work has received generous support from grants including Meet the Composer/Commissioning Music USA, the American Composers Forum/Jerome Foundation, C.A.P, the Barlow Endowment, MET Life Creative Connections, and the Brooklyn Arts Council, as well as awards from the Finale National Composers Competition, the Society for New Music, four ASCAP Morton Gould Young Composer Awards, Music Now, ASCAP Plus, NY Look & Listen, Music IX, and the Definiens Project, among many others. Also active as an educator, he has taught courses in composition, orchestration, and theory at Sarah Lawrence College and at Yale University. Daniel holds degrees from the Yale School of Music, where he studied with David Lang, Martin Bresnick, Ingram Marshall and Aaron Kernis, as well as from the University of Michigan School of Music and Bard College.